SEBERANG PERAI, Sept 14 — PKR deputy president Datuk Seri Mohamed Azmin Ali slammed those who kiss hands to show loyalty to their superiors. 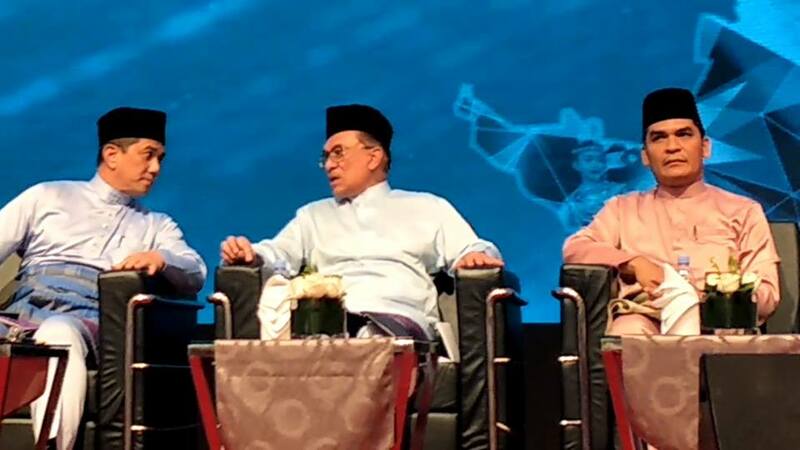 He said his loyalty to the party and president-elect Datuk Seri Anwar Ibrahim was often questioned by some quarters. “There was no need for me to go kissing hands to show loyalty. “When I was fighting for Reformasi in the streets, where were they? “I can list out, they were in Jakarta, Australia and London for two years and it was after that they come back and claim they are fighting for Reformasi,” he said. Azmin Ali also slammed rumours that he was leaving the PKR party as “baseless”. “There are bound to be rumours about me, so don’t believe or be influenced by these rumours and lies about me,” he told reporters in a brief press conference here yesterday. Three were some rumours recently saying the he was planning to leave PKR and join UMNO. The economic affairs minister said it was all “lies” and “slanders” spreading during party elections. “Sure, there are disagreements (among party members), even married couples have disagreements, this doesn’t mean they need to file for divorce, it only means we need to discuss and resolve our disagreements then we move forward as a united party,” he said. Mohamed Azmin will be facing Rafizi Ramli in the upcoming party election.